For once we have gotten an excellent photograph taken by an experienced observer of Nessie. Modern cameras and more guides out there has made this progressively more likely and we finally got lucky. What is most important is that an experienced observer has confirmed the vertical motion along the spine. 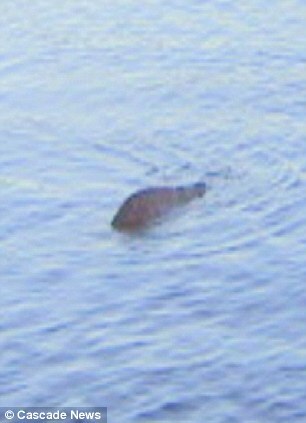 Not only is it clearly not a sturgeon it is not any type of fish and must be a form of serpent. My conjecture that this is a sea serpent returning from the sea to establish a brood in marsh conditions somewhere along the loch continues to stand up. The creature itself normally hunts in the deep and returns to a number of deep water lakes in order to establish a nest in the way of serpents generally. I also suspect that the locale for actual breeding is in around New England where rare open ocean sightings have taken place. It is regrettable that the creature failed to lift its head out of the water this time. 80 Years Later...What's Been Learned? IF NOT A MONSTER, THEN WHAT? Nessie is similar to other supposed lake monsters in Scotland and elsewhere, though its description varies from one account to the next. Others include eels, bird wakes, seals, trees, logs, submarines, dogs with sticks - even an elephant. The Loch Ness Monster has been a subject of mass intrigue and debate since it came to the world's attention in 1933. Perhaps the most famous picture of Nessie was taken by Robert Kenneth Wilson, a London gynaecologist. It was published in the Daily Mail on 21 April 1934. The earliest report of a monster in the vicinity of Loch Ness appears in the Life of St Columba by Adomnán, written in the 7th century. Four stumpy-looking objects on the bottom of the creature's body appeared to look like appendages, such as flippers. It was later suggested the creature was a dog, possibly holding a stick. His picture was declared 'positive evidence' by a famous biologist and cryptozoologist. Dinsdale allegedly spotted the animal on his last day hunting for it, and described the object as reddish with a blotch on its side. In May 2007, Gordon Holmes, a 55-year-old lab technician, captured video of what he said was 'this jet black thing, about 45 feet long, moving fairly fast in the water'. 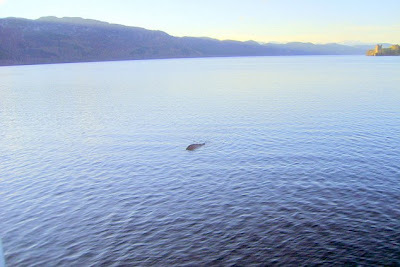 In February 2012, a sonar image of a large mystery object deep below the surface of Loch Ness netted boat skipper Marcus Atkinson the Best Nessie Sighting of The Year Award - the first time in several years it has been presented by bookmaker William Hill. The sonar picture, that shows a large unidentified living object deep underwater, was recorded by Loch Ness boat skipper Marcus Atkinson.